The Provincial Cancer Care Program is responsible for providing services to cancer patients throughout the province of Newfoundland and Labrador. 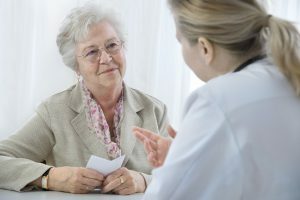 We have staff to help you access screening services and manage your diagnosis, treatment, follow-up care, survivorship, palliative care and pain and symptom management. supportive care services such as nursing, nutrition, pharmacy and social work. The Cancer Care Program works collaboratively with clinical programs and departments in diagnostic imaging, medicine, surgery, and women’s health to establish and implement standards of practice. The Provincial Cancer Care Program is responsible for providing services to cancer patients in the province of Newfoundland and Labrador, and the operations of the Dr. H. Bliss Murphy Cancer Centre in St. John’s and the regional cancer care centres in Corner Brook, Grand Falls-Windsor and Gander. The Provincial Cancer Care Program works with all regional health authorities to provide chemotherapy, follow-up care and supportive services in several other sites across the province. Additionally, the Provincial Cancer Care Program offers tele-oncology services, which helps to provide cancer care to patients closer to home. Members of the cancer care team are here to help you and your loved ones. Over 200 dedicated staff work together throughout the province to offer services to assist with your physical, social, emotional and practical needs. You and your family are the most important members of your cancer care team. » Learn more about the Cancer Care Team. The Provincial Cancer Care Program has access to a number of reports produced by the Canadian Partnership Against Cancer. More recently, the Program released a 2018 Provincial Cancer Report which highlights several provincial indicators in screening, diagnosis, person-centrered perspective and long-term outcomes. Please visit the ‘Reports‘ section for more information. The Program is supported by the Dr. H. Bliss Murphy Cancer Care Foundation, which has funded many initiatives to enhance cancer care services across the province. This funding is made possible through the generosity of the people in our province. This website was made possible through financial support from the Canadian Partnership Against Cancer (CPAC).